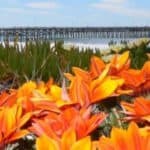 Located on the southwest portion of the Discovery Route, the classic and historic beach town of Oceano is known for it’s majestic dunes, beautiful parks, fertile farm fields, and remains the only beach in California you can drive on. Established in 1893 as a railroad town, Oceano still retains most of the original flavor of the past. Oceano is a very family-friendly place. The Oceano lagoon with its abundant wildlife is one of the crown jewels of the central coast. The Guiton lagoon trail encircles the north side of the lagoon and provides excellent bird watching, exploring, and photo opportunities. 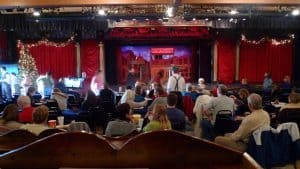 Some of the best live stage entertainment in the area is at the Great American Melodrama, where the audience can participate in cheering and booing the heroes and villains portray by a cast of very talented performers. 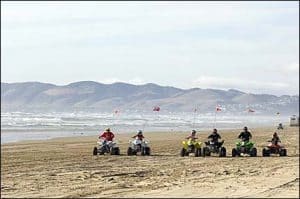 Oceano Dunes State Vehicular Recreation Area is the top tourist attraction in the city of Oceano. Gateway Post 1 to Oceano Dunes State Vehicular Recreation Area is the entry point where cars and vehicles pay a fee to drive on the beach. Passenger cars can drive on a small portion of the beach but many are not sand-ready to drive to the dunes for camping and off roading. Sand dune terrain is best accessed with 4-wheel drive vehicles. The warmest month of the year is September with average temps from mid 50s to the high 70s. February is typically the wettest month with 4 of the 18 inches of annual rain. The winter months will be chilly with temperatures between 43 to 67 degrees. In the summer months, the temperature averages are between 53 and 78 degrees. You do need to know that the California coast is prone to “June gloom.” This happens when the offshore ocean fog layer comes inland and hovers over the shore all day long. The condition can start in May and often extends into July. Oceano Dunes Preserve is one of the most expansive coastal dunes left in California. 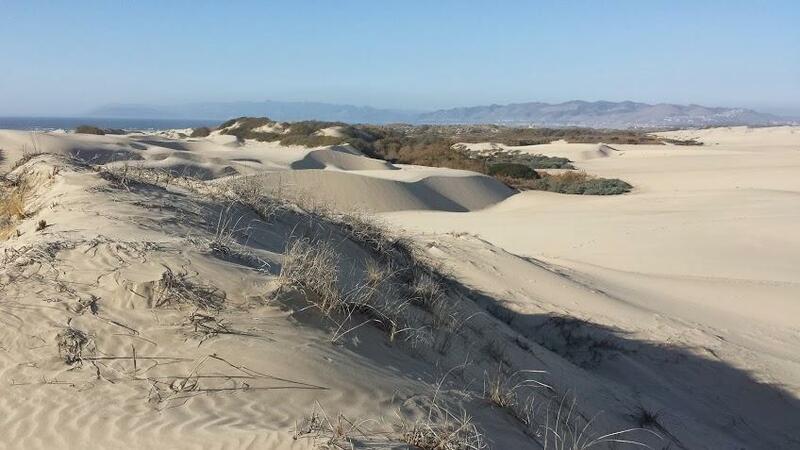 The Preserve offers rare opportunities for on-the-sand activities—you can camp, go horseback riding, and drive right on the beach in the Oceano Dunes State Vehicular Recreation Area (SVRA). In fact, it’s the only California State Park that allows vehicles to do so (four-or all-wheel drive recommended). Thrill-seekers: Don’t miss the opportunity to fly up and down the massive mounds of sand in a Hummer or your own ATV or dune buggy. The Oceano Train Depot is in near-original condition as when it was in use and is open for tours of this turn-of-the-century train depot that remains virtually untouched. 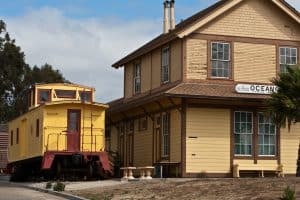 The Oceano Depot was once the most important building in South San Luis Obispo County as all passenger, freight, telegraph, and mail service passed in and around the Depot. At the Great American Melodrama and Vaudeville in Oceano, audience participation is a must. Theatergoers are encouraged to boo and hiss as the mustache-twirling villain menaces the damsel in distress and cheer when the dashing hero thwarts his evil plans — just as their counterparts did a century ago. A Central Coast institution for four decades. Everybody laughs. Everybody interacts. 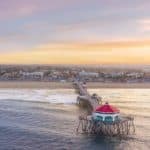 Their professional and skilled instructors are there for your safety and to provide you with everything you’ll need to experience surfing, the ocean, and the beauty of Pismo Beach. Their private classes, group lessons, and extended surf camps are geared for people of all ages, skill levels and abilities – Wetsuits, Soft-top Surfboards, and the Ocean are provided! For more information call 805-835-7873, or visit them on the web at Sandbar Surf School. For an unforgettable experience, rent a horse at their stable for an exciting ride to the beach. Bring your family to join their family for a one of a kind camping trip – from horseback riding to flying kites, there’s fun for the young and the young at heart. For more information call 805-489-7787, or visit them on the web at Pacific Dunes Ranch Riding Stables. California Kiteboarding and Paddle boarding is a premier retailer for kites, kiteboards, stand up paddles, stand up boards, longboard skateboards, mountain boards, and outdoor accessories. 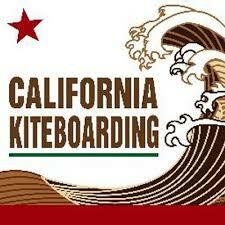 For more information call 805- 295-6306, or visit them on the web at California Kiteboarding. Great food, great value and the locals love it! What more can you ask for? Everything is homemade, including the tortillas at Chacho’s. All of their food is authentic Mexican food. Try their infamous burritos made with their amazing homemade tortillas. One bite and you will be in love! For more information call 805-489-5136, or visit them on the web at Chacho’s Mexican Food. The two old railroad cars that house this old-fashioned American diner aren’t the only attraction here. Generous breakfasts, juicy pastrami burgers, great guacamole burgers, and a surprising number of very good Greek dishes make this a popular place for a casual breakfast, lunch, or dinner. Fifties music, and a kid-friendly atmosphere make this the campers’ favorite. Call 805-473-2040 for more information, or visit them on the web at Rock ‘n Roll Diner. Beach Burgers in Oceano is serving up great burgers, fries – seasoned steak, sweet potato or beer battered. Open daily for lunch and dinner. For more information call 805-473-2383, or visit them on TripAdvisor at Beach Burger. Owned and operated by a local family with Mexican roots for two generations, Old Juan’s Cantina is a terrific spot for authentic Mexican food in a family-friendly atmosphere. Favored by locals and visitors alike, the extensive menu features festive appetizers, hearty combination plates, sizzling fajitas, and the best margarita on the coast. For more information call 805-489-5680, or visit them on the web at Old Juan’s Cantina. It’s Big, It’s Hot, It’s Juicy! Serious Central Coast burger nuts swear by Sylvester’s, a bright yellow and turquoise shack whose meaty motto is a smiling burger with Mickey Mouse-like hands and feet declaring that he’s “Big, Hot ‘n Juicy.” Only 100 percent unfrozen USDA grade beef is used, and the chewy sesame seed buns are always perfectly toasted and buttered. Don’t forget milk shakes (including pineapple), malts and floats, all made with real ice cream, or the chili and just-cooked onion rings. For more information call 805-270-4434, or visit them on the web at Sylvester’s Burgers. Mongo’s Sports Bar & Restaurant of Grover Beach, CA features great food, cold drinks and entertainment every day of the week. Stop by for great food, cocktails, cold beer, live music and meet the friendly staff and local customers. 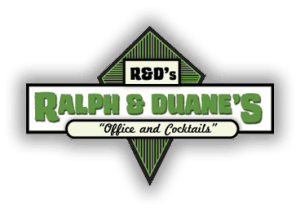 Try their award winning Bloody Mary’s, 1/2 lb Burgers, fabulous Fish & Chips, and homemade Clam Chowder!! Watch your favorite sport on their 9 HD TVs. Happy hour is daily from 3 – 7 p.m. For more information call 805-489-3639, or visit them on the web at Mongo’s Saloon. This property is a 5-minute walk from the beach. This hotel is located just 2 minutes’ walk from Oceano State Park and 1.5 miles from Pismo State Beach Golf Course. It features a hot tub and suites with a kitchen. The suites at the Pacific Plaza Hotel are furnished with a fireplace and private balcony. Free WiFi and satellite TVs with DVD players are provided. Guests can relax in the Pacific Plaza’s outdoor hot tub or enjoy the onsite BBQ facilities. A launderette is available. For more information, pricing, or to reserve your room, visit Pacific Plaza Hotel. This property is a 9-minute walk from the beach. 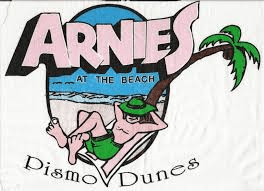 Located on the Pacific Boulevard in Oceano, California, this motel is 0.7 miles from Pismo State Beach and 4 blocks from the Oceano Dunes. Free WiFi access is available.Each room at the Oceano Inn is equipped with a microwave and a refrigerator. Cable TV with HBO is available. Other helpful amenities include a coffee maker and a hairdryer. For more information, pricing, or to reserve your room, visit Oceano Inn. Located 2.7 miles from Pismo Beach and 22 miles from Morro Bay, Strand Way Home offers accommodations in Oceano. The property features views of the sea and is 15 miles from Santa Maria. The kitchen is equipped with a dishwasher. A TV and DVD player, as well as a CD player are provided. Other facilities at 1316 Strand Way Home Home include a fitness center and barbecue. For more information, pricing, or to reserve your vacation home, visit the Strand Way Home. A Tuscan Sun is located in Oceano, just 2.7 miles from Pismo Beach. Morro Bay is 22 miles from the property. The accommodation is fitted with a TV with satellite channels. There is also a kitchen, fitted with a dishwasher. An oven and microwave are also provided, as well as a coffee machine. Each unit is equipped with a private bathroom with a hairdryer. For more information, pricing, or to reserve your vacation home, visit A Tuscan Sun. Featuring free WiFi and sea views, York Holiday Home is a vacation home, located in Oceano. It provides free private parking. A dishwasher and a microwave are provided in the kitchen. Pismo Beach is 2.9 miles from 319 York Three-Bedroom Holiday Home, and Morro Bay is 22 miles from the property. For more information, pricing, or to reserve your vacation home, visit York Holiday Home. Thanks Traci, and I am glad you enjoy visiting Beach Travel Destinations. 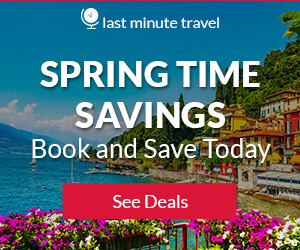 Come back when you are ready to plan your next beach vacation! Wow, this would be such a great place to visit! This is such great information, I can’t believe how much is offered in this area. Thanks! Thank you Emily for visiting Oceano California Vacations! I am glad you enjoyed! Beach!! Beaches are my favourite place to get a holiday on. Your website goes through what are the opportunities to do there when to do it in a lot of detail, making it easy to understand. It would be cool if you added the prices to go there, hotels that are available and perhaps some of their reviews, and your general opinion about this lociation in a conclusive sentence or two. It is really hard to add prices to get there, because it is so dependent on where you are coming from. If you click on the hotel links, you will find the pricing and the reviews 🙂 I never thought about adding my own opinion for each location. That is an idea! Thanks for taking the time to comment and visit Oceano California Vacations. This site was wonderful. It was very thorough with information about vacation destinations. And, I love the beach!. I especially enjoyed the info about things to do and dining. It eliminated a lot of searching on my own, and would be a good reference to go back to if this was a destination choice. I also liked the addition of the video. It really gives you a clear picture of what the area has to offer. Glad you enjoyed Linda! Thank you so much for stopping by and visiting Oceano California Vacations. Thanks for sharing Leahrae. Seems like California just has an endless amount of beaches to visit. I love riding ATVs so I’ll definitely have to try that if I’m ever in the area. Did you have a favorite restaurant out of the ones you listed? I’d have to say my favorite is Chacho’s. I love Mexican food! And yes, California does have endless beaches. Thanks for stopping by! I would love to learn to surf and to spend some time in those marvelous hotels. Restaurants would also be a treat! Thank you for sharing, I do appreciate it a lot! This is a great area Matiss. So many beautiful beaches, so much to do and yes, great restaurants as well. Glad you enjoyed reading! Not only to you give us ideas where to go and what to do while we’re there, but you give us the information we to make the most of or trip as well. 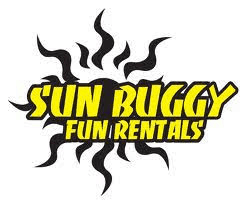 I would love to rent a sunbuggy!! You couldn’t get me out of one of those. Now all I need is the time and money to do all these things!! You are some welcome Brandon. Thanks for visiting Oceano California vacatons. Sunbuggies are a blast! Hope you can make it here soon. Thanks for visiting Oceano California Vacations. 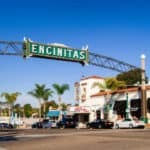 Oceano is very close to Santa Barbara William, and a great little coastal community. This seems like such a cool part of California to visit. That old train depot would be great to see in person. I love seeing old buildings such as that. It looks like there is something for everyone to do there. You are right Erin, plenty to do for everyone. And a little different than your normal beach community. Where I live we have the beach, and then we have the beach. Not a lot of other activities that are not water related. Thanks for reading! Great picture of the sand dunes there in Oceano. I would love to rent a dune buggy there and drive up and down the shore line. The beach is amazing in that you can drive right up on it. I enjoyed the video. Nice places to visit with good restaurants and hotels. A beachcombers paradise! Yes it is Mick! Lots of choices whether it be camping or staying in a hotel, then all the beach activities. Super fun! Another fantastic place you’ve chosen to show! What an amazing feeling would be to drive to the beach and see the dunes:) A dune buggy sounds like a great option, not to be missed! You make me dream! I will put visiting Oceano on my bucket list, for sure! I am glad I am making you dream! 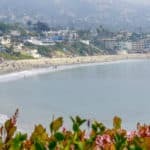 Oceano California is a dream beach destination with a unique way to enjoy. You will love it! Thanks for visiting Oceano California Vacations. Hi Leahrae, I love the way you describe the beaches and give so much information regarding the activities available. It is amazing all the information you give so that we know prices of hotels and options of house rentals, car rentals etc. Oceano looks like a great place for a family holiday. What really appealed to me was the mention of all the wild life and the mention of horse riding on the beach. Yes, the wildlife, horseback riding, riding on the dunes and the beach…nothing gets better Jill. It is a great way to enjoy a family vacation. Thanks for reading. Thanks for a great article on Oceano. The weather sounds like heaven to me, especially winter with the mild 43 to 67 degrees (I live in Iowa). While everyone else is freezing, I’ll be basking in the sun. Camping on the beach, horses, 4 wheelers…and you got a great selection of nightlife activities. Maybe next winter I’ll dig the camper out of the snowdrift and pay you all a visit! I am ready to pack my ATV in my suitcase. Just in case it does not fit, I see that I have a choice of where I can rent one at the beach. I like the idea of camping in the dunes, what could be more out in nature than at the beach. John, this is the best place to camp out on the beach and take the ATVs. I couldn’t agree with you more! It doesn’t get any better for sure! Thanks for visiting. Beach before and had the time of our life. It was so much fun and so very real. I don’t know what is more fun the beach, dune buggies or horseback riding. Both in my book, and this is a great place for that. Thanks for visiting Oceano California Vacations. June Gloom must be fun to screw around in the fogginess. But I think I will wait until November/December in between the holidays to go. Oceano sounds like a fun place to let go and crash some dune buggies or Atv’s. I didn’t see you mention anywhere to find a horse, do they have those at the rental places or somewhere special? Yes, you can rent horses, I though I added the horse back riding…now I have to go back and edit 🙂 The best is going to be Pacific Dunes Riding Ranch. There are others as well. The fog could be fun, much more so than LA smog LOL. Thanks for visiting Eric!